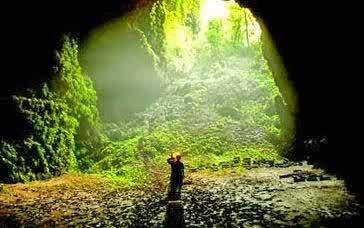 Jomblang Cave and Grubug located in Semanu district, Gunugkidul Regency, 50 km southeast Yogyakarta, about 10 km from Wonosari (the capital of Gunungkidul regency). 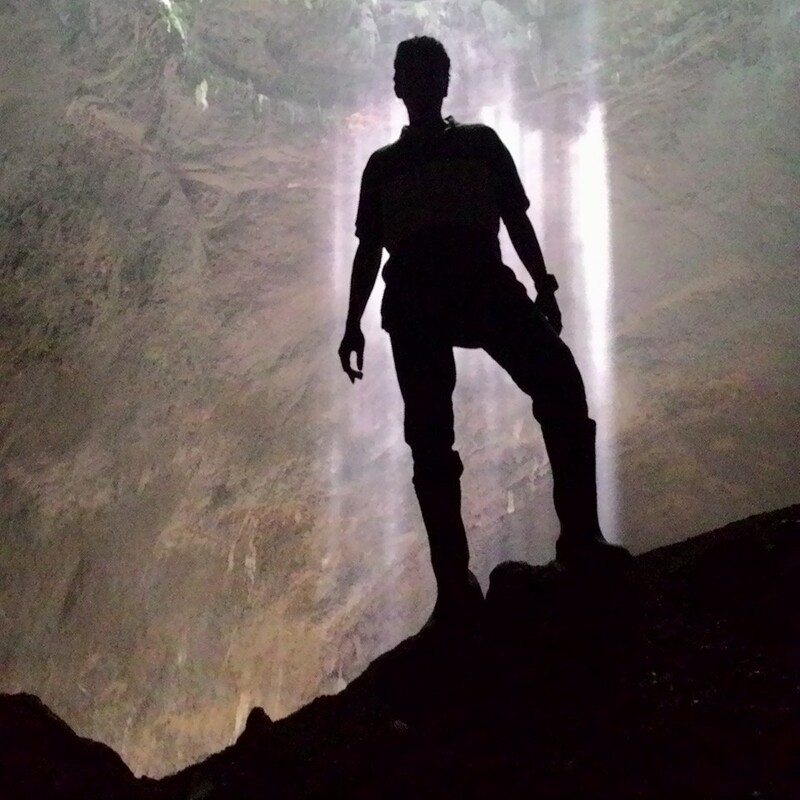 To reach Jomblang cave is more easily using private transportation vehicle or motorcycle and will take about 2 hours drive from the city of Yogyakarta. Location of the cave was in middle of field rice by the way is quite challenging with rocks along the road to the location of the cave. The journey to get to the bottom of Jomblang Cave exhausting. Vertical step path to reach the bottom of the Jomblang Cave requires bravery, especially for first timers. The cave horrible history indeed scares the local people. Many eerie stories come along with it. However, when we reached the bottom of the cave, all the fatigue and fear will be replaced by a sense of awe of the beauty of Jomblang Cave. If we can reach the bottom of Grubug at 01.00 pm, the views of the sun through the eternal darkness at the bottom of the Cave Grubug would be so amazing. The ray has touched a number of stalactites and stalagmites formed by dripping water over thousands of years. Sunlight broke into the mouth of Grubug cave and one large stalagmite cave located at the bottom. On the north side of the huge stalagmites, there is the river flow that comes from Kalisuci.